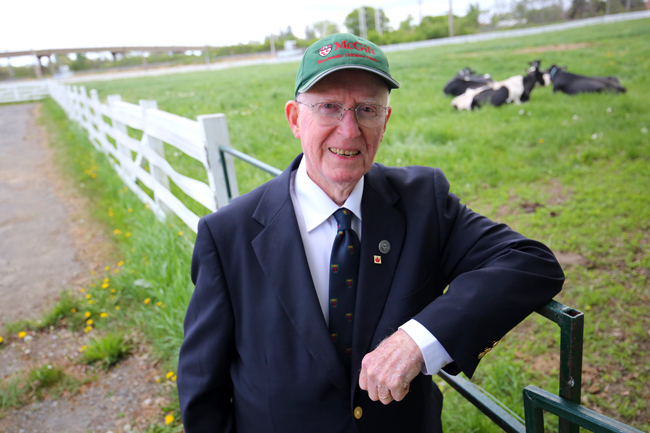 A $1-million gift from alumnus J. William Ritchie, will provide major support for the Faculty of Agricultural and Environmental Sciences in its efforts to open its Macdonald campus to more visitors and provide a unique, hands-on education into the critical role of agriculture in the food supply chain. A $1-million gift from Macdonald College alumnus J. William Ritchie, BSc(Agr)’51, will provide major support for McGill’s Faculty of Agricultural and Environmental Sciences in its efforts to open the Mac Campus to more visitors and provide a unique, hands-on education into the critical role of agriculture in the food supply chain. Ritchie’s gift will support construction and renovations to an original stone dairy barn dating back to 1907 and which will serve as the centrepiece of the Faculty’s renewed outreach efforts. The historic building is designated to become the Macdonald Farm Community Engagement Centre and will include the centrally located Lorna and William Ritchie Educational Hall. The 279-square metre hall will serve as an initial point of contact for visitors, accommodate a 140-seat instructional area and be home to multimedia displays and other interactive exhibits portraying the workings of the Macdonald Farm and themes related to agriculture, nutrition and food production. 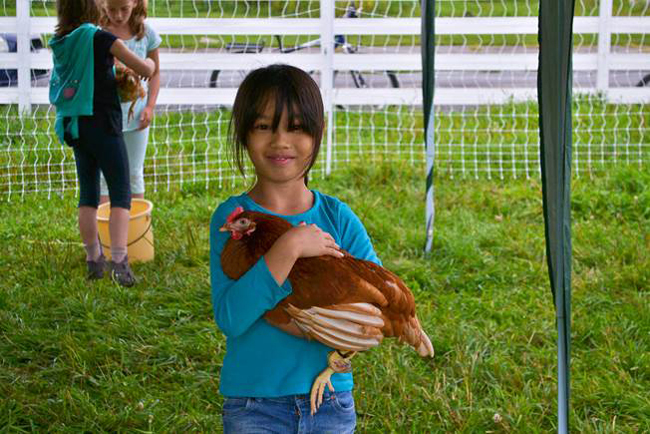 As part of the Community Farm Outreach Program, kids get the chance to learn about poultry and egg production, examine soil microbes under a microscope, make butter and bread and help feed calves. The Macdonald Farm Community Outreach Program currently provides bilingual guided tours aimed at educating school children about agriculture and environmental stewardship. Last year, more than 5,000 children participated in activities on the Ste. Anne de Bellevue campus during a limited spring and summer schedule. Operating on a year-round basis out of the new Centre, the Faculty estimates that the Campus and the Farm could welcome up to 15,000 visitors a year, mainly from surrounding suburban communities as well from areas closer to Montreal’s inner city. Read more about William Ritchie and his recent gift in the McGill News.